(Cleveland, OH) – The Cleveland Cavaliers will travel to face off against the New York Knicks Thursday night at Madison Square Garden, where they will surely look to avenge their embarrassing opening night loss, and continue their four-game winning streak. Since the ominous beginning in the Cavs’ season opener, the team has experienced as bi-polar a season as you can expect. After they embarrassed themselves against the Knicks, the Cavs immediately rebounded the next night with a gutsy win against the Chicago Bulls. Struggle against the Washington Wizards? Why not bounce back and dominate the same team less than a week later. The Cavs are as inconsistent as any team in the league right now. Lately however, they have been able to find consistent success, and recently finished their five-game home stand at 4-1. During this stretch the Cavaliers have shown significant improvements on both sides of the ball; Kevin Love is looking more comfortable in the offense, and Kyrie Irving has impressed with his defensive effort. While these adjustments have helped the Cavs improve their record to above .500, lackluster contributions from the bench have continued to put pressure on the starting five. Over the course of these last five games, the Cavs’ bench has been outscored significantly in all but one game, the blowout against Orlando. So outside of a blowout (Orlando), and an inspired game from Dion Waiters (Washington), the Cavs bench has been blown out of the water during this home stand. In order for this team to survive a difficult upcoming stretch, the bench will need to improve. Help may be on the way soon with the return of injured guard Matthew “Delly” Dellavedova. Delly has been on the sideline the last month with a knee injury, but is primed to make his return as early as next week. With the return of Delly, the bench should receive some help, but the lack of production from the current squad has been frustrating to Blatt. However, he is optimistic about the production he has seen from some members of the bench, namely Tristan Thompson, and Mike Miller, who played his first significant minutes of the season on Tuesday against the Milwaukee Bucks. “We finished the game last night with Tristan and Mike Miller on the floor. Those are two of the guys who didn’t start, but they’re two of the guys who were on the court when we won the game. So that speaks to the fact that we do have guys coming from the bench that can help us win.” Blatt was quickly informed that those were the only two players from the Cavs’ bench who scored against the Bucks. “Well that’s not the best piece of news I’ve heard today,” Blatt responded with a smile. As for the Knicks, outside of their win against the Cavs early in the season, the team has struggled in all facets of the game. They have struggled to properly incorporate the triangle, and outside of Carmelo Anthony, there’s just not a lot of dynamic talent on this team. The defense has been porous, but when you are depending on Jose Calderon, Amare Stoudemire, and Samuel Dalembert, you’re going to have a bad time. The keys to the Cavs’ success in this game come down to pace, and the battles at point guard and small forward. If Kyrie can take care of business on the offensive end, and stay in front of Calderon on the defensive end, then the Cavs should be able to win this game comfortably. Calderon is a deadly shooter, and can get his team into a rhythm early if Kyrie doesn’t make him work. 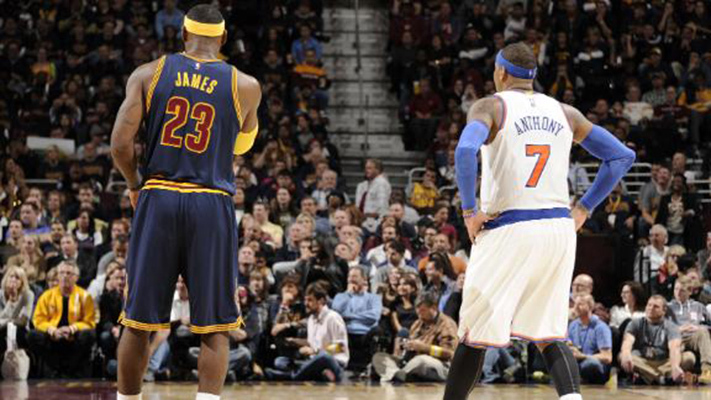 For LeBron James, he cannot allow Carmelo to have a 40 and 10 type of night. Most importantly, LeBron needs to prevent Carmelo from getting hot from behind the three-point line. The only way the Knicks can stay in this game is if they start bombing from deep. The Knicks don’t have the horses to keep up with the Cavs for the whole game, but a strong three-point performance could force the Cavs to play catch up quickly. On the offensive end, the Cavs need to look to push the pace every time down the floor. The Knicks are playing at a historically slow pace this season, and that pace saps every advantage the Cavs have going for them. They need to speed the game up, and force the Knicks to try to run with them. If the Cavs can get the Knicks out of their comfort zone early, then they should be able to coast to a win late. 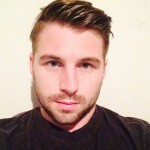 Adam is a recent graduate from San Diego State University. He currently works for SDSU in corporate sponsorship for the Athletics Department. He's happy to be a staff writer for Cavaliers Nation, and you can follow him at @AMH08.